As a Zurich local, I of course know the legendary Rössli bar, where I have spent numerous, unforgettable evenings. 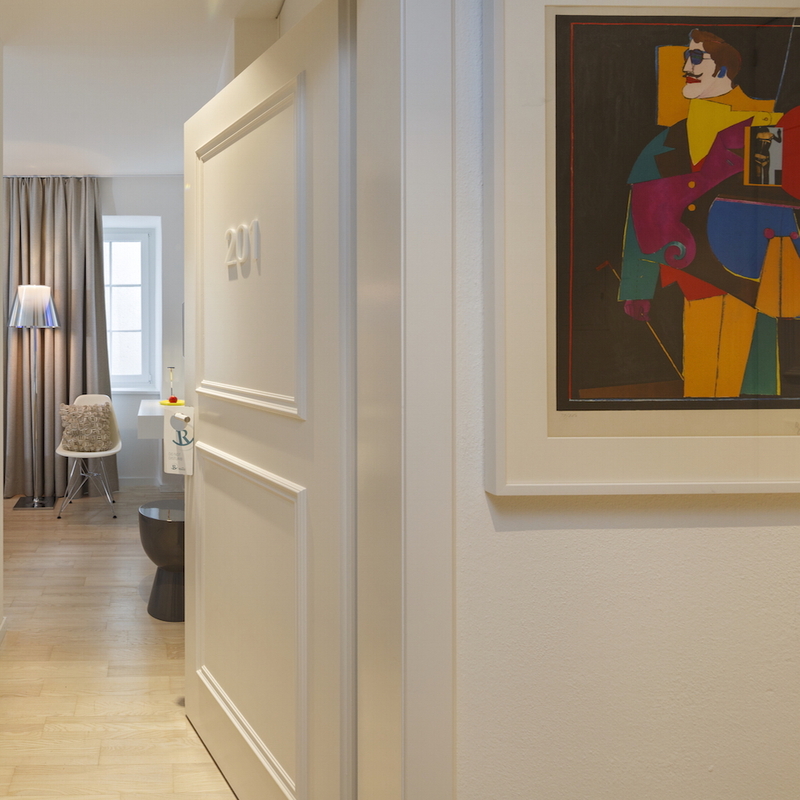 The hotel, located in the same building, has for years been part of the jewel in the crown of the city and many business friends and acquaintances have comfortably been accommodated there. The Rössligasse exudes the historic old-town charm. 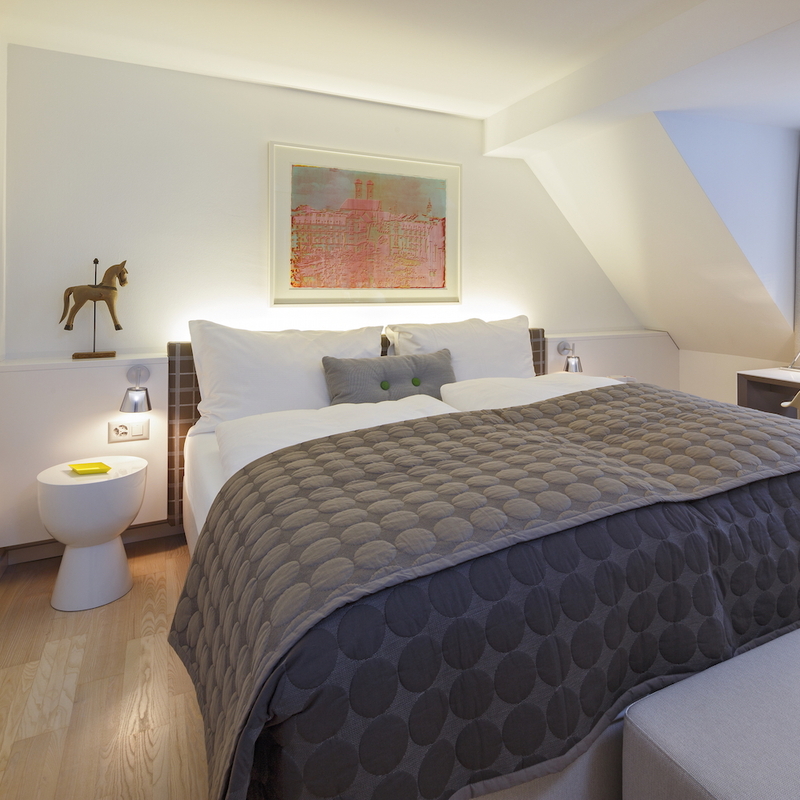 Situated in one of the most beautiful parts of Zurich, the hotel building dates back to the 13th century. 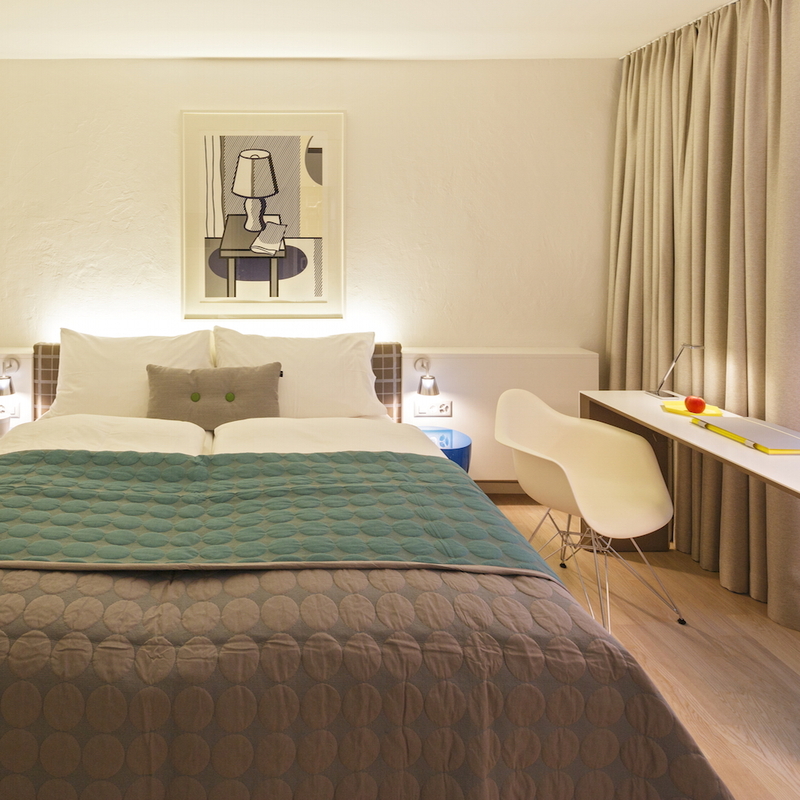 The 27 modern rooms all have different layouts and are puristically furnished. The splendid box-spring beds allow for having wonderful dreams, and in the morning one can answer the most important emails at the desk while sipping a cup of Al Canton tea. Attentively set-up, there are both international plugs as well as tablets, a kettle and, of course, a mini-bar available. Additionally, there is a small seating area equipped with a printer on the 4th floor. 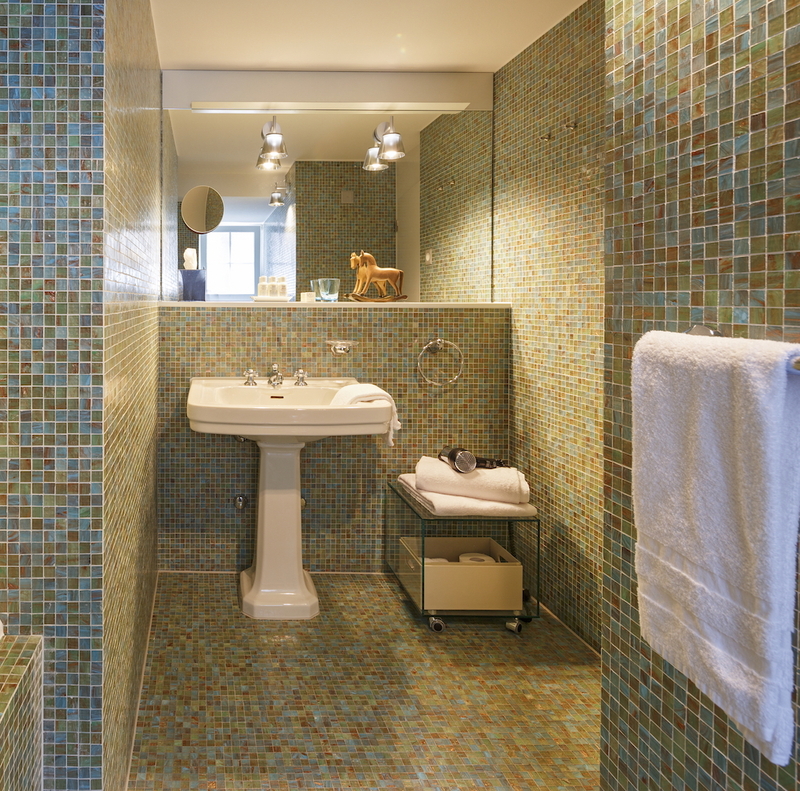 The spacious bathrooms are equipped with rain-showers and guests are treated to Kiehl's products for body care needs. 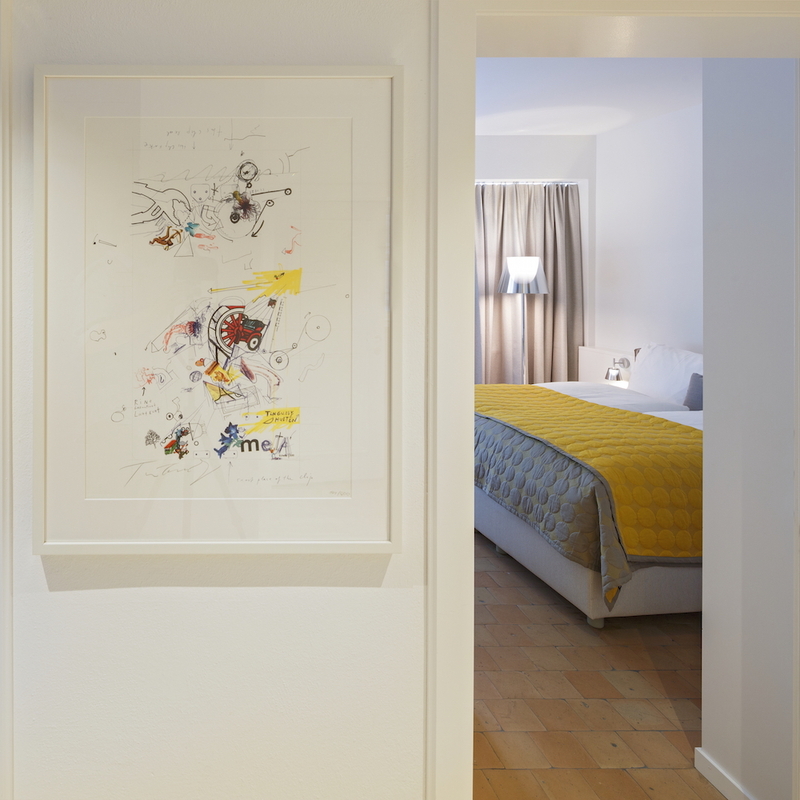 One of the highlights is a two-storey, 160 m2 apartment located next to 13 other units in the house. In addition to the dining and working area, there are two bedrooms and two bathrooms, as well as a fully equipped kitchen, ideal for families. The view from the roof-terrace overlooking Zurich's rooftops and the Grossmünster, a Zurich landmark, is definitely breathtaking. 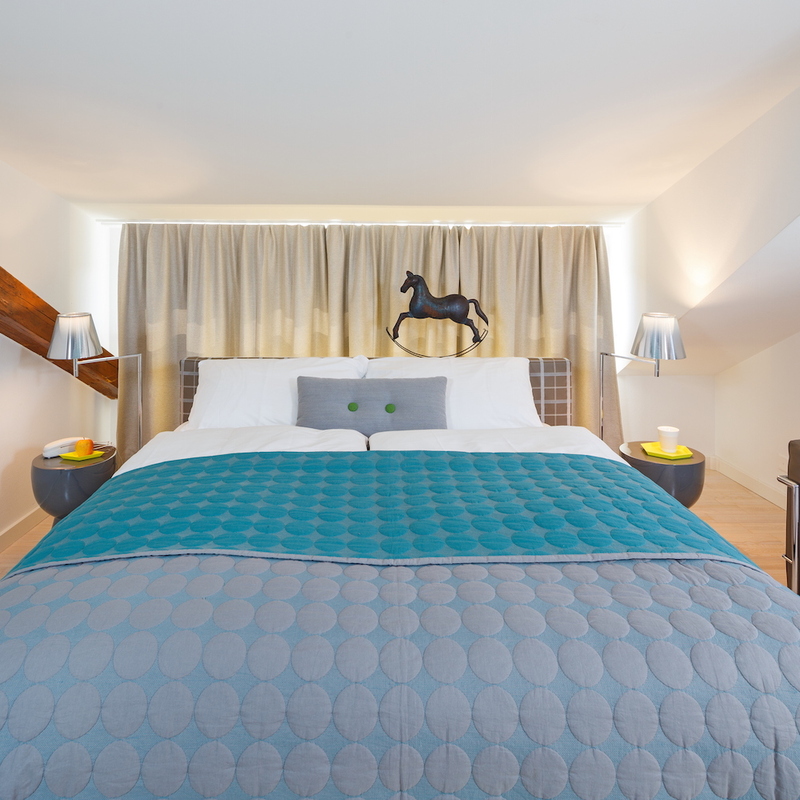 For those wanting the roof terrace but don’t require a lot of space, there’s, my personal favorite, the Junior Suite in the main house with the unobstructed view of the Limmat. Not only does the location of the hotel give the Rössli something distinctively ‘Zurich’, ‘local’ is apparent throughout. The small, but fine breakfast buffet offers guests selected local products, yoghurt from Amselspitz, bread from the Zürcher bakery Bertschi, and cheese from the Chäslaube, a Seefeld staple. If you don’t wish to leave the hotel in the evening, dine at the legendary Italian restaurant Il Gattopardo, where hospitality and quality are at the top of the list. 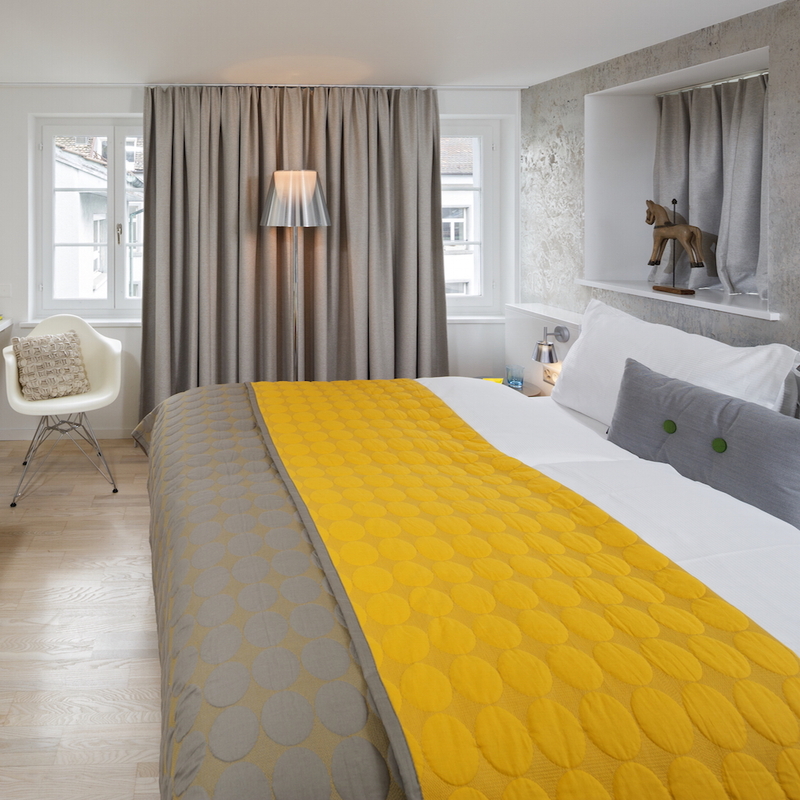 The Rössli is one of the most charming and authentic hotels in Zurich. Remo Hugi and his wife have really thought of everything: a perfect city hotel, suitable for work and leisure, in a prime location. 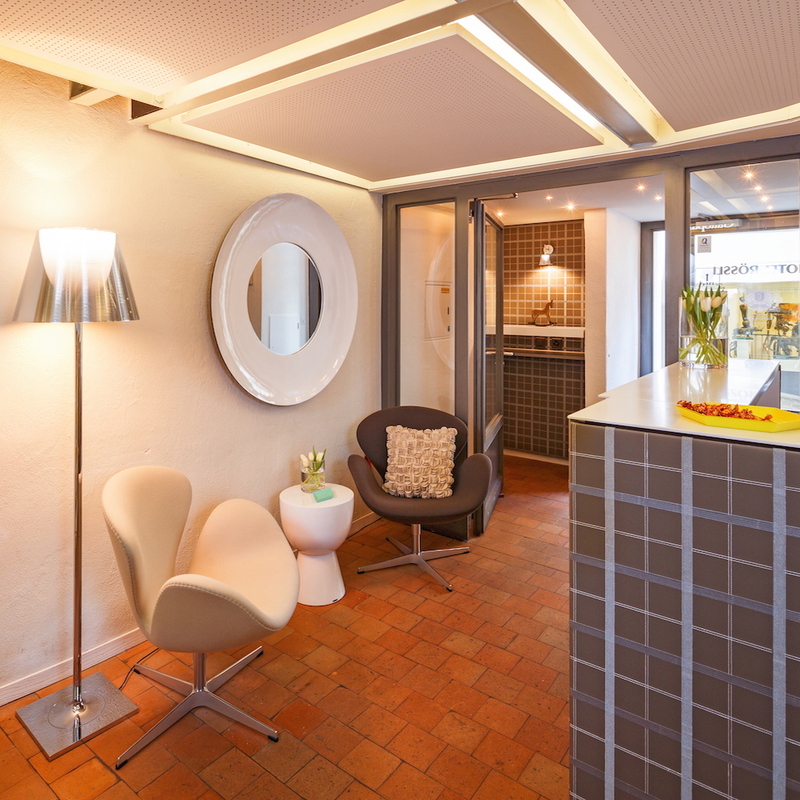 If I need a hotel again in my hometown, I shall definitely reserve the junior suite and enjoy my tea on the terrace above the rooftops of Zurich.